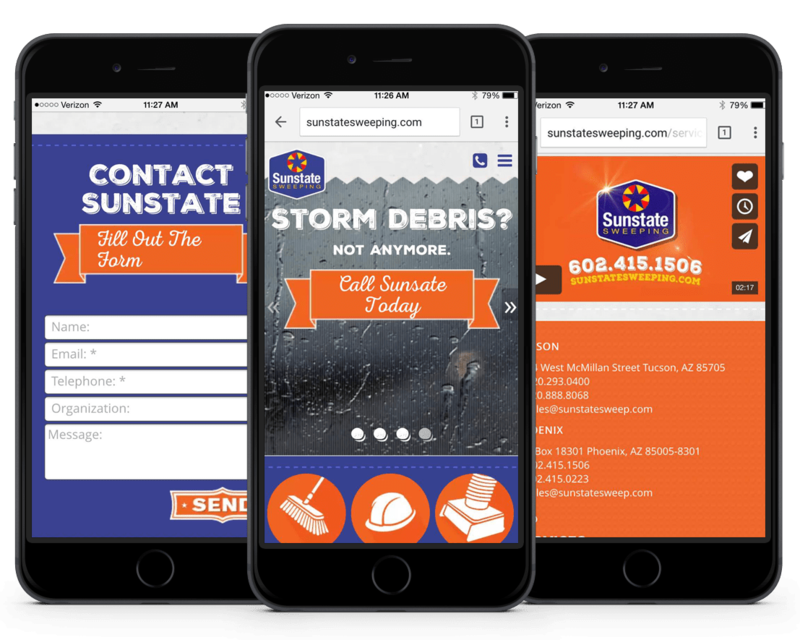 Responsive website design was the challenge Sunstate Sweeping had before reaching out to Epic Productions, being they had a very basic website design with lots of content dead-ends. Responsive website design is mostly aimed at crafting sites to provide an optimal viewing and interaction experience—easy reading and navigation with a minimal amount of resizing, panning, and scrolling—across a wide range of devices (from desktop computer monitors to mobile phones of all types). We scaled down the design to fit form and function on mobile devices. Typically once a desktop design is completed and approved, creating a mobile mock-up doesn’t take much time at all. It all depends on your website’s custom bits and pieces. 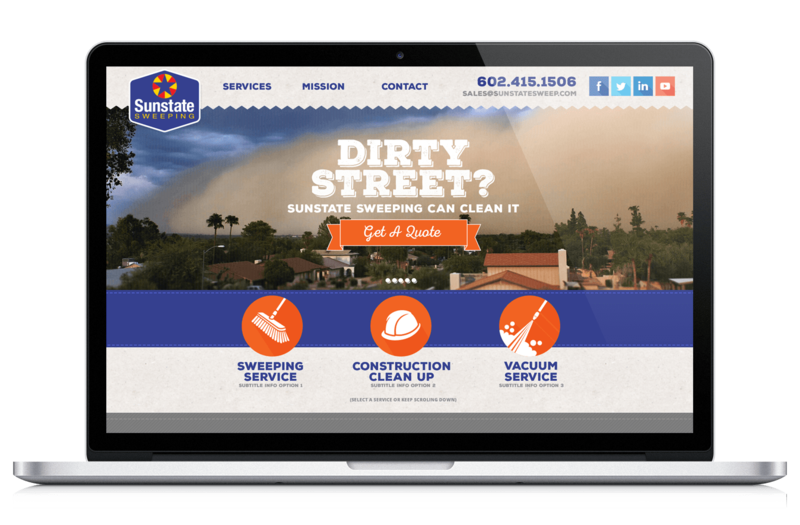 Sunstate Sweeping had a very basic website design with lots of content dead-ends and unresponsive space. 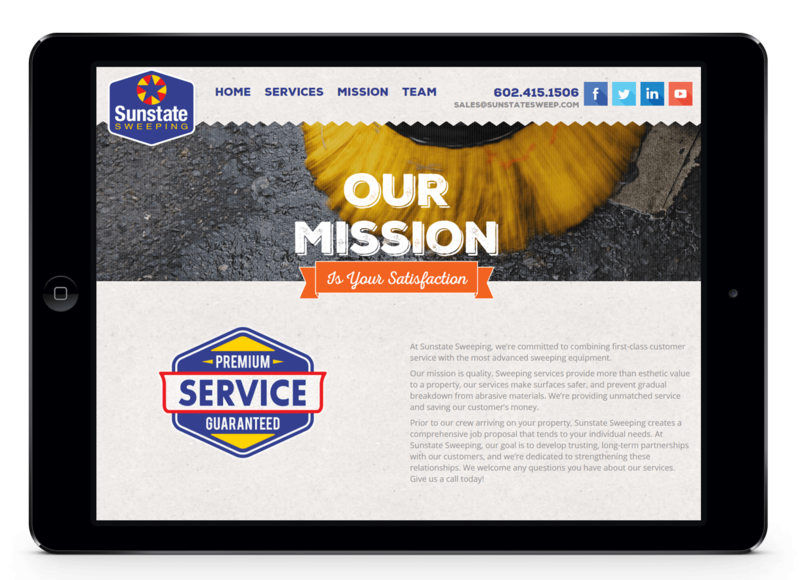 Responsive website design defines the user experience and encourages engagement. We promptly established a new modern-vintage hybrid look for them that was applied across their video graphics as well as for the web.